She is one of the world's most iconic supermodels. 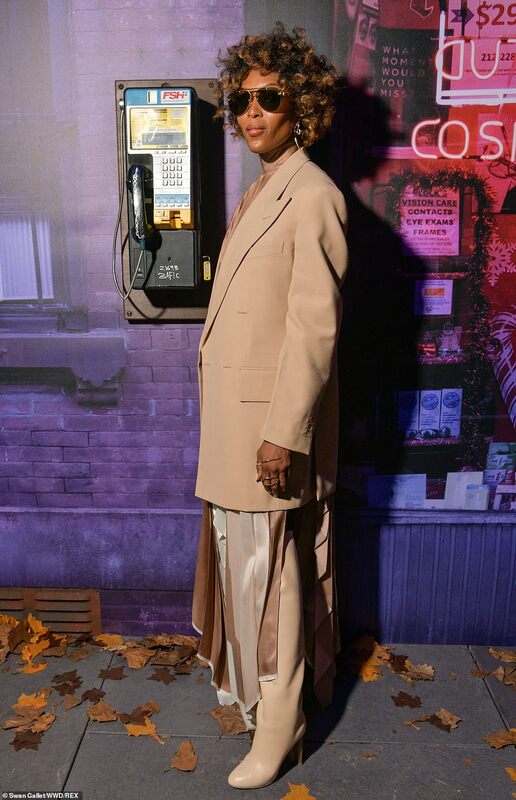 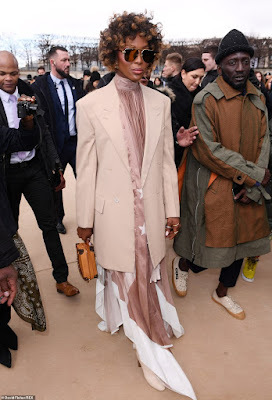 So Naomi Campbell was naturally a welcome FROW guest at the Louis Vuitton Fall Winter, Men's Paris Fashion Week show on Thursday, where she led the stars catching a glimpse of Virgil Abloh's second collection, which was debuted at the French capital's Jardin des Tuileries which was turned into New York's Rivington and Ludlow. 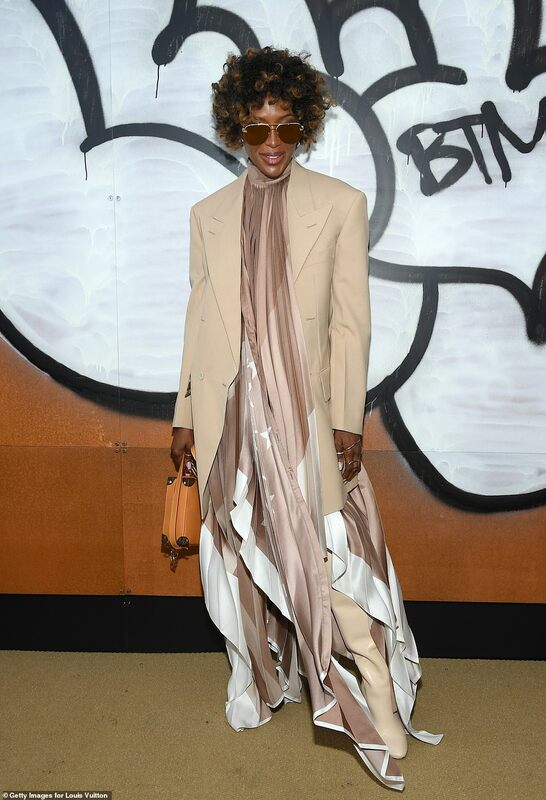 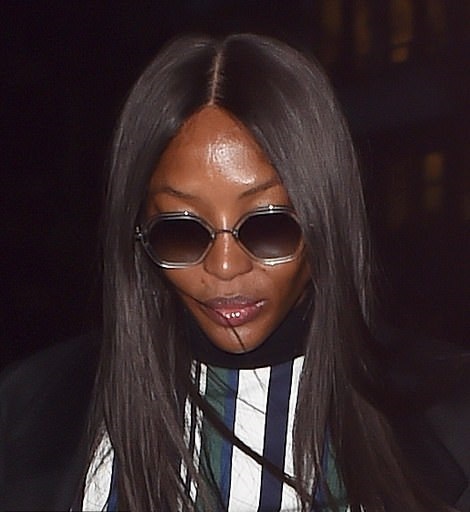 Naomi's new look will no doubt be a shock to fans as she was sporting an entirely different look just hours before when she headed to the Christian Dior store on Wednesday evening.